20 bags organic, vegan friendly Clipper Indian Chai tea bags, made using fairly traded ingredients. 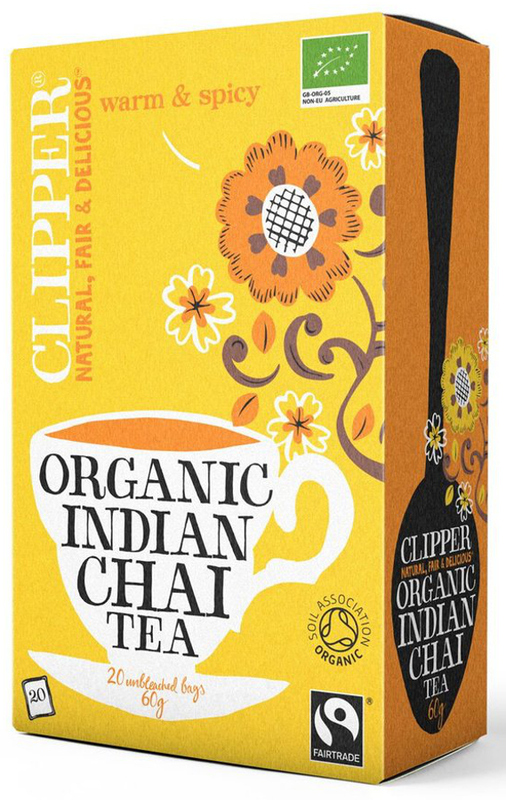 Fairtrade Tea*, Fairtrade Cinnamon (17%)*, Lemon Peel*, Fairtrade Cloves (8%)*, Fennel Seeds (5%)* where * = organically grown ingredient. The Clipper Organic Indian Chai Tea - 20 Bags product ethics are indicated below. To learn more about these product ethics and to see related products, follow the links below. A bit heavy on the spices, best mixed with plain tea, one of these bags with 2 normal tea bags gets you chai like the chai you get in India. Great taste - just what I need during the day at work! This is more spicy then my usual brand and the clove flavour is quite dominant - which I like but my husband is not keen on. We might try it a bit weaker and see if it improves it for him. Good to find organic chai. 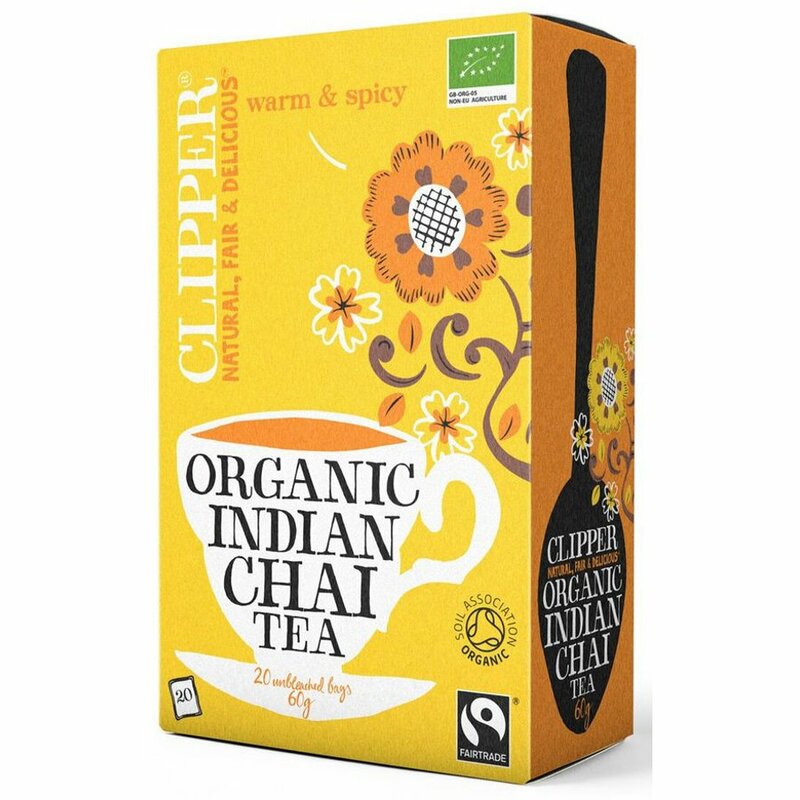 There are currently no questions to display about Clipper Organic Indian Chai Tea - 20 Bags.